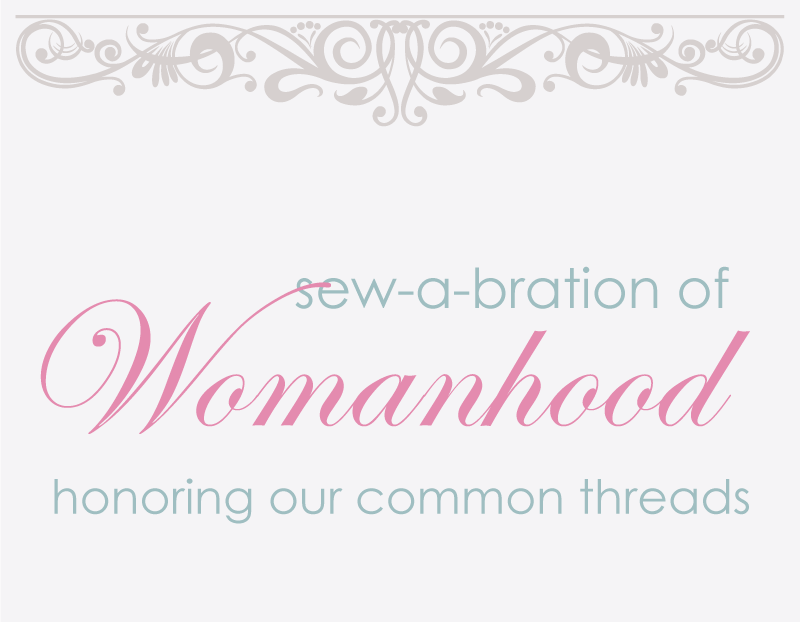 Today is my birthday so what better day to have TWO ladies posting for the Sew-a-bration! 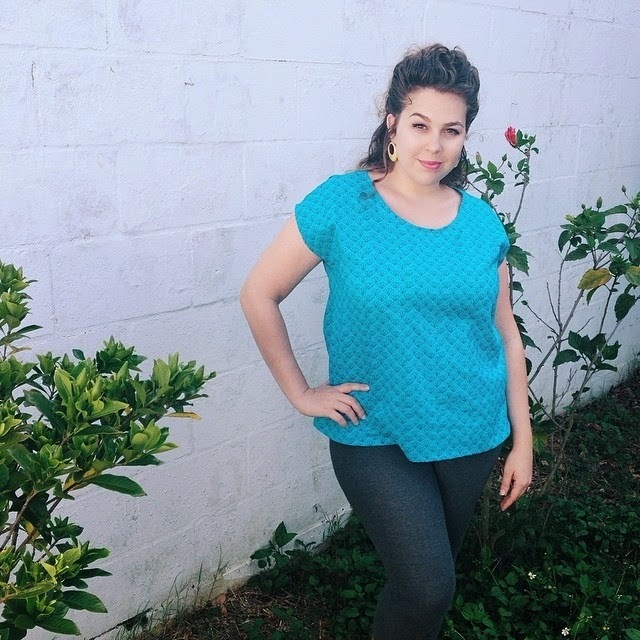 Body Type: Since I am still working with my post baby body, I would say my shape could be categorized as a pear or butternut squash! What was the biggest challenge for you during this project and how did you overcome it: For me it was most definitely the invisible zipper lol I couldn’t seem to get it right! Also, since I’m petite (and round) I had to adjust the bodice a lot to fit perfectly on me, which meant taking it in some and spending quality time with my seam ripper. It’s the cutest dress ever! To see more of Ashley’s dress click here! Age: 48 and not ashamed of it at all! 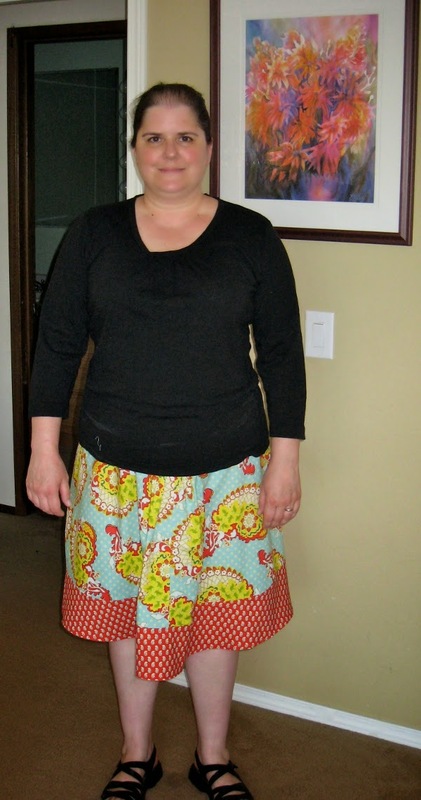 What was the biggest challenge for you during this project and how did you overcome it: My biggest challenge has been to accept that it is okay to sew for someone who is a size 16 and has thinning hair. I may not be the most attractive, svelte, tan, lovely blogger in the world but I have something to share and I think others would like to see it. I over came this by asking friends to suggest plus size bloggers for me to follow. And I found the curvy sewing collective. And you three! So much inspiration. So, I am off and sewing for me and *gasp* sharing photos. 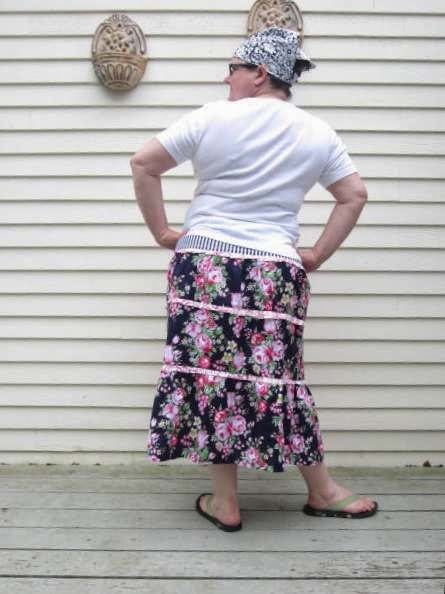 I definitely need a few new summer skirts so I can’t wait to see Kathy’s full post. Happy, happy birthday! Have a fantastic day! I've really been enjoying this series. Happy Birthday! And Great job ladies!